Gaz and Matthew are dating and Dib is trying to expose Matthew for being half vampire. Gaz and Matthew also are playing on sports team. Gaz plays soccer, and Matthew is on the track team. Zim and Dib are close friends and Zim often teases Dib for not being able to expose Matthew. 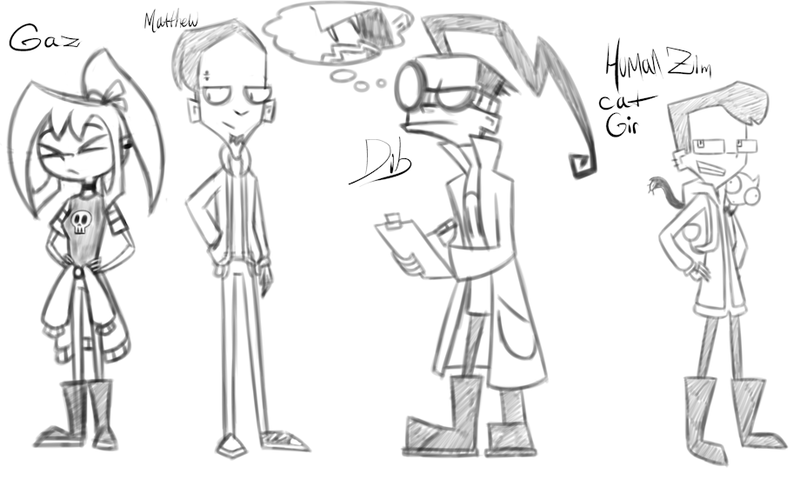 Dib has implanted a translation device inside of Gir's head (so gir is able to speak fluently in human speech). I have no ideas about the "Tallests" (and the others) yet I will think of them don't worry.